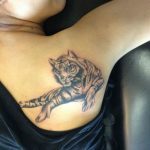 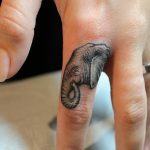 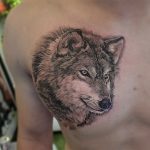 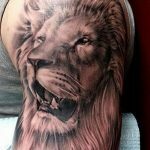 Tattooing to flaunt your love for wildlife is very common nowadays especially when there are lots of options regarding the design and pattern. 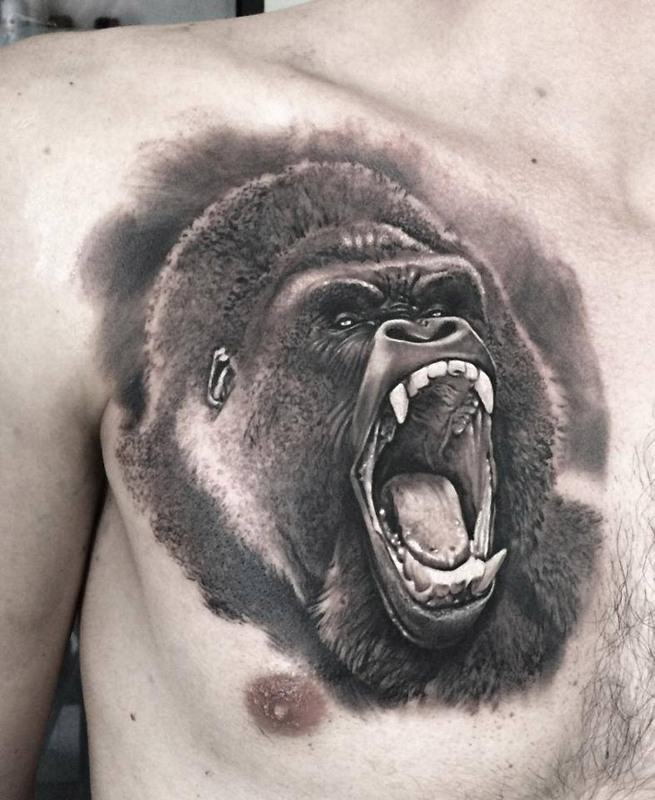 One such unique option is the gorilla design, depicting the strength and intelligence of this wild beast. 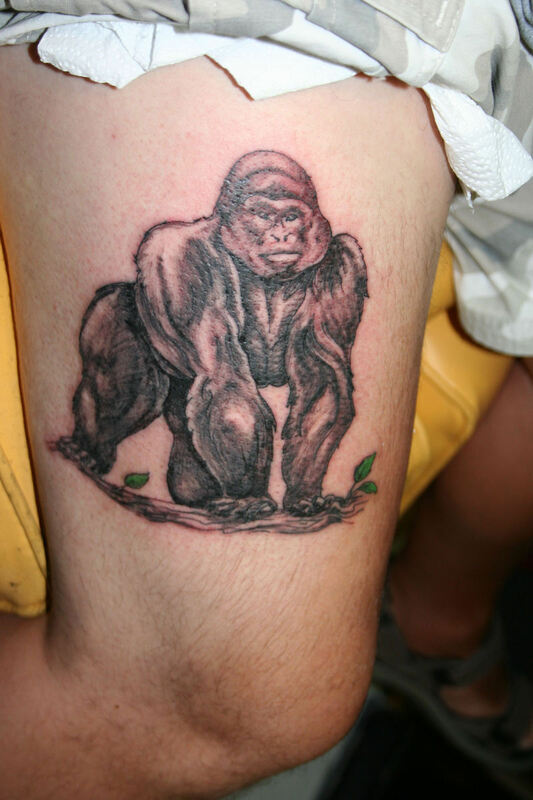 Although a little bit unusual for girls, this tattoo is a favorite amongst men especially the young boys. 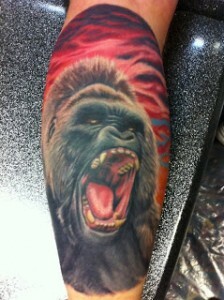 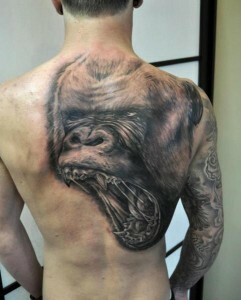 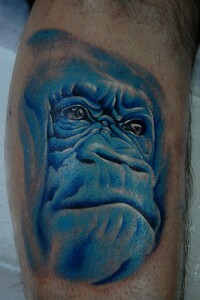 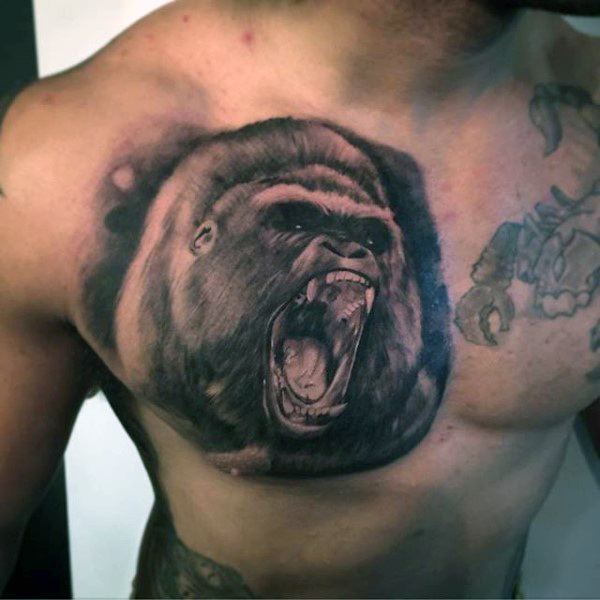 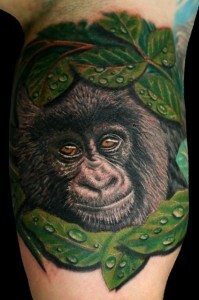 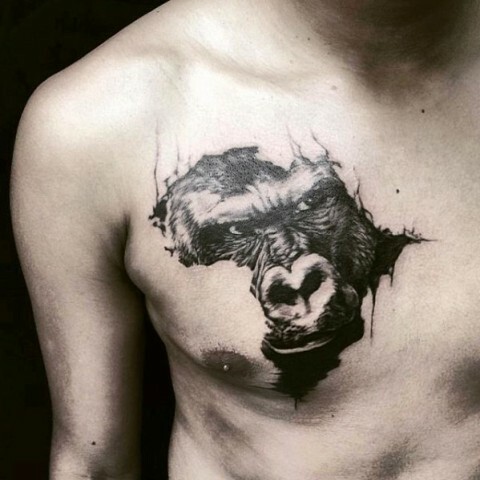 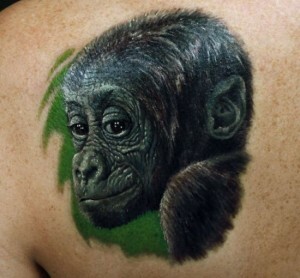 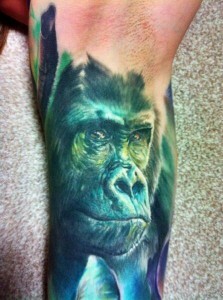 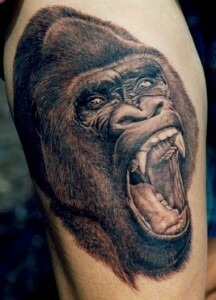 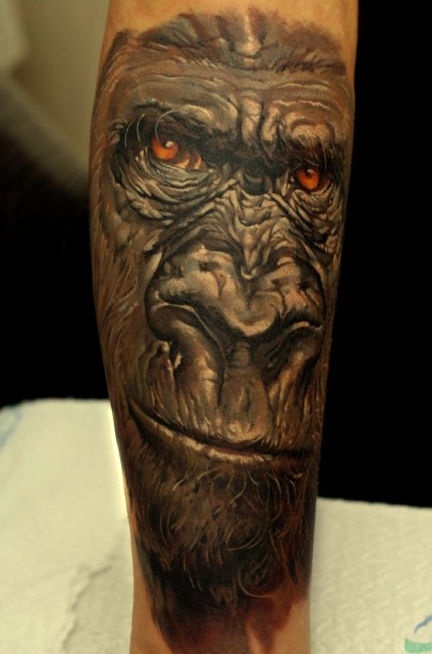 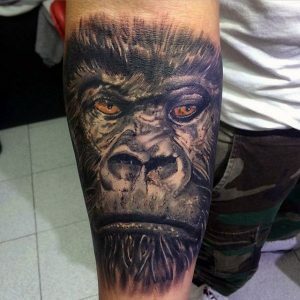 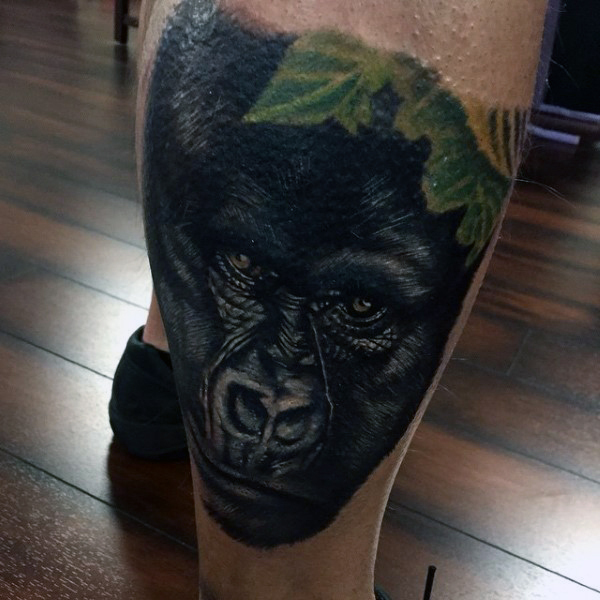 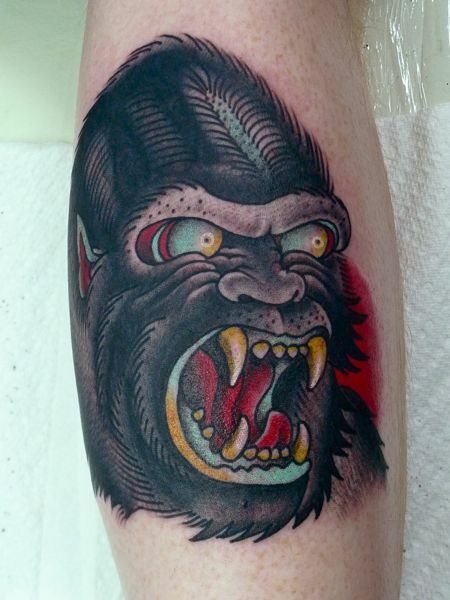 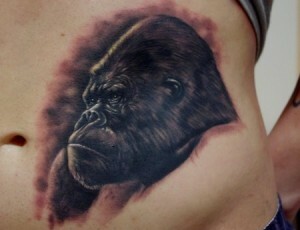 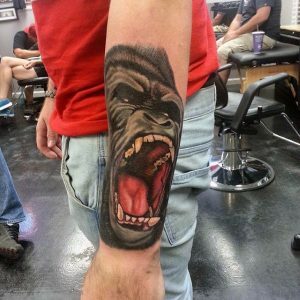 With effective shades and hue, you can easily exhibit realistic gorilla tattoos on your chest, legs and back. 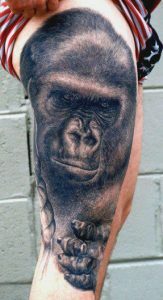 If you do not wish to show your tattoo often then choose a place where it is not visible frequently like thigh and belly. 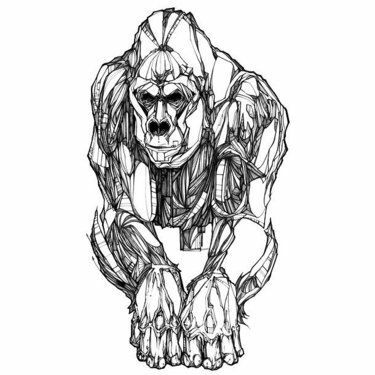 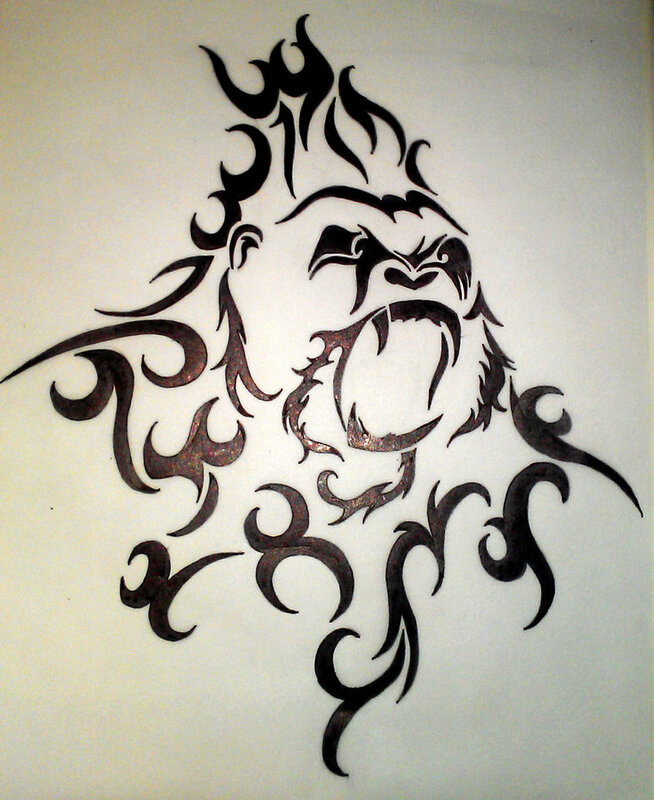 The following designs would give you a clear insight into the intricacies of the gorilla tattoo pattern.